One of the favourites of the night was this card which featured the Kind and Cosy stamp set. I showed the ladies how they could use marker pens to colour their stamps to get multi-coloured designs. The second card - a clean and simple design I CASed (Copy And Share!) from pinterest. The scored lines not only help with placing the circles in a straight line but add an extra something to the design! The third card we made showcases two techniques even I hadn't tried before - the baby-wipe technique, and another technique called 'rock n roll'! If you search for videos on YouTube you'll get a better explanation on how to do these than I can give you! 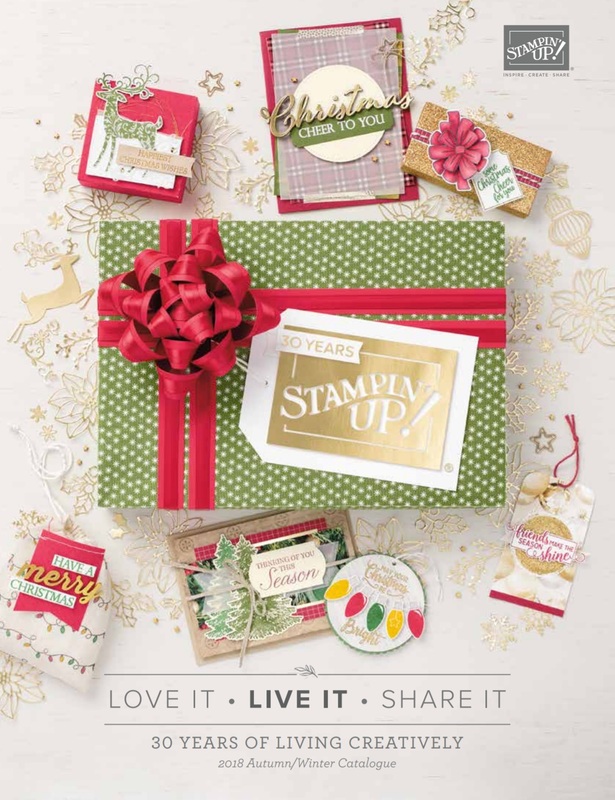 The stamp set is an exclusive hostess set called Morning Meadow. The final card was another clean and simple one, this time featuring Summer Silhouettes and some paper-piercing! We used the essentials paper piercing pack to create the scallop design at the bottom of the card. Simple but effective. Here is an action shot of the crafting in progress! My home baking went down well too. This month I did a raspberry bakewell cake - a new favourite! My next class is this Thursday 10th October where we'll be doing a mix of Christmas and non-Christmas cards. I have space for one more if you want to come along - please contact me in advance!